And what a tribute it is. I can only hope that my kids do the same for me after I’ve passed. I wanted to share this with you on this blog because I believe that the late Dr. Khaldoun AlNaqeeb, Kuwaiti scholar and sociologist, was also an artist. 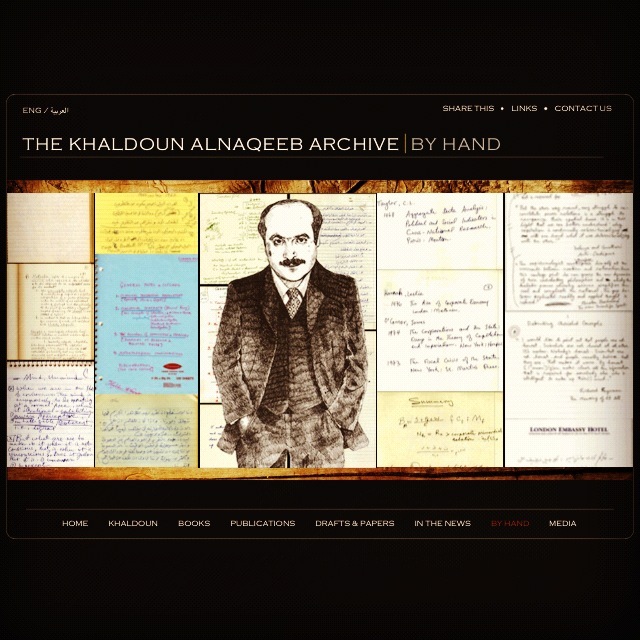 This site, a resource for anyone, whether an academic or a dilettante, is a comprehensive look at the cogs and gears of what made Dr. AlNaqeeb who he was. And what interests me most as an artist and a lover of the hand-written word are his notes and diagrams. He was an artist who, instead of drawing pictures, created theories and philosophies, rough-drafted on lined notepads or whatever else was available to scribble on. And this is why he’s here. He is an inspiration to me and hopefully many other Kuwaitis aspiring to be like him. 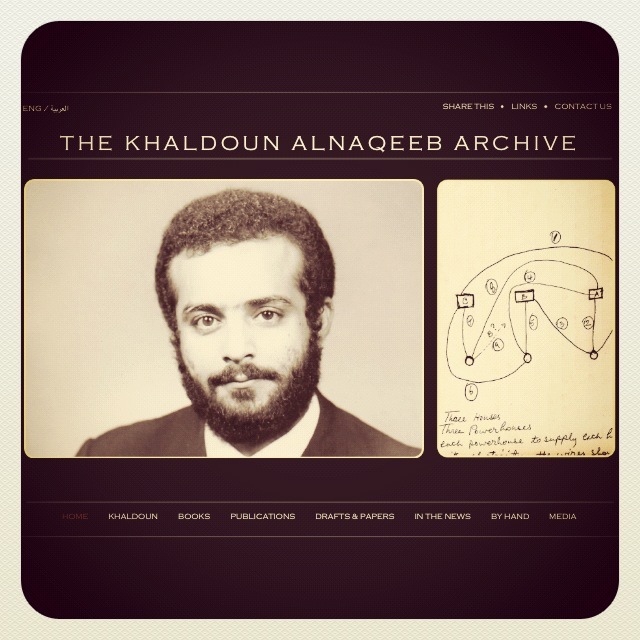 Visit www.khaldounalnaqeeb.com to learn more about Dr. Khaldoun AlNaqeeb.